A loveseat is typically shorter than a sofa is, so that can be a huge space saver. 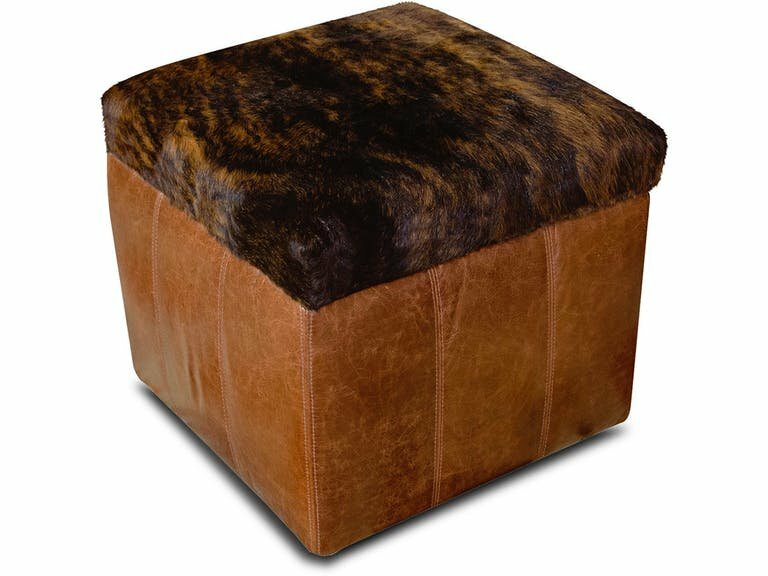 Loveseats can also be paired with a great ottoman like this England Furniture Hollie Storage Ottoman 2F081LH (pictured). It is compact, and you can store away anything from blankets to board games. Furniture with storage built in is another way to utilize your space effectively. Mirrors positioned opposite to windows or hallways can make a space feel bigger than it actually is. It brings more light in to a room and has the effect of creating more space. Before you start arranging, use painter’s tape to outline where you want furniture to go—this will save you a considerable amount of effort as you start rearranging. Luxurious leather furniture looks great in any living room, and the material is both classic and sturdy. 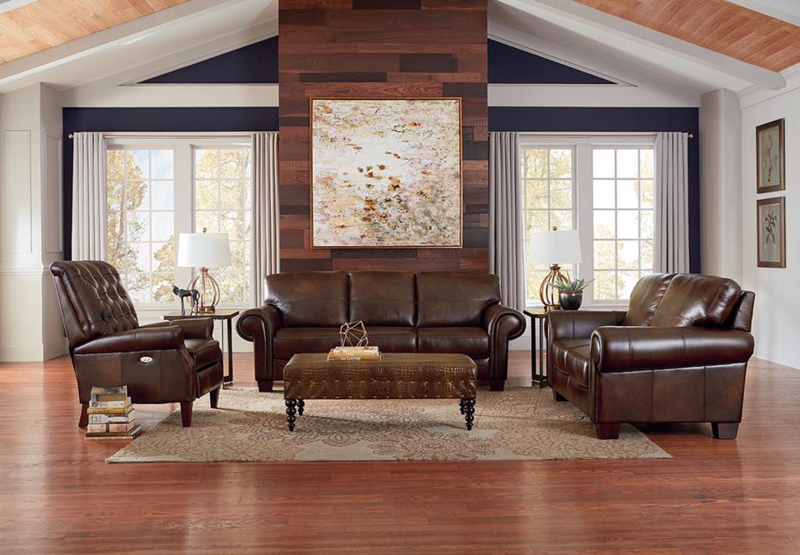 Leather is great for a family room if you are tired of stains that you can’t remove from fabric upholstery. Just wipe it down with a clean cloth and you’re good to go! 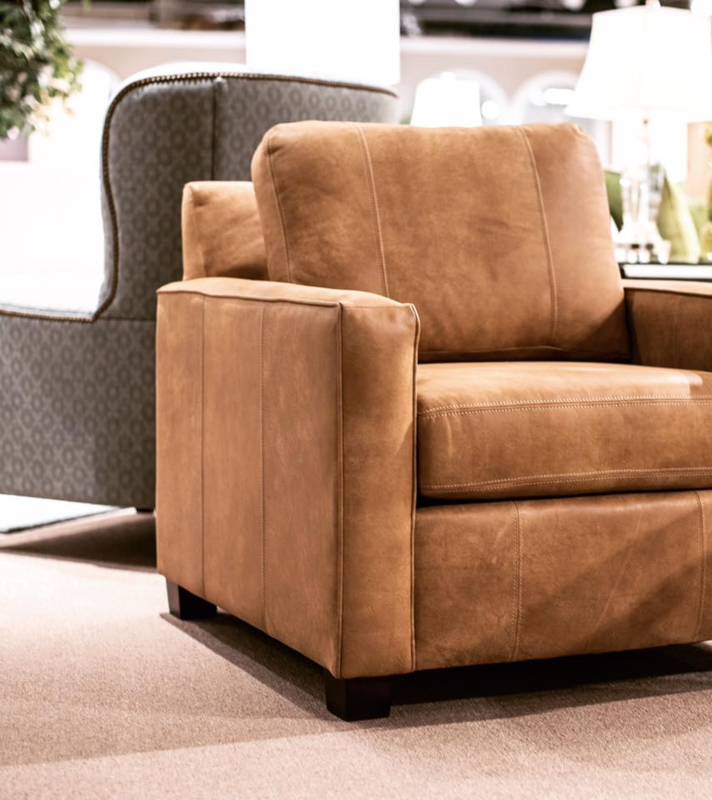 The Luca Collection by England Furniture features a set of gorgeous leather living room furniture. 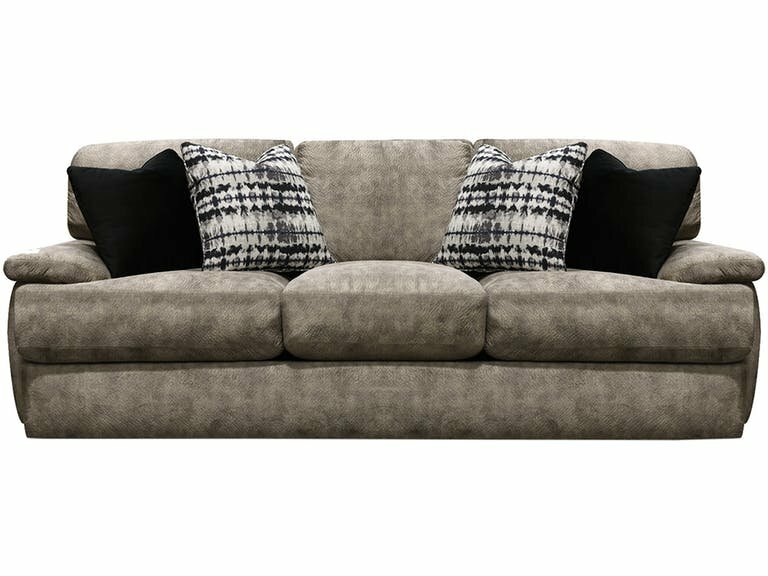 The broad rolled arms are inviting paired with the sleek, comfortable cushions. 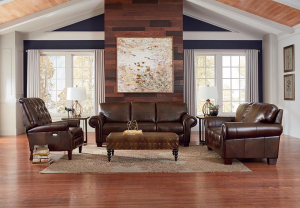 Though this brown hue fits perfectly with more rustic living rooms, there are over forty leathers to choose from to complete the living room you envision. This collection includes a sofa, loveseat, chair, and ottoman. 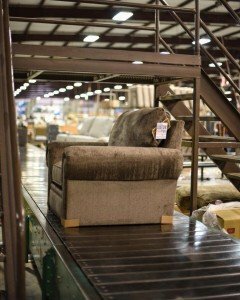 Comfortable, high quality furniture is just what your family needs when you’re redecorating your living room. Different than more formal sitting rooms, the living room sofa that your family wants to spend time on should be plush, but still stand the test of time. 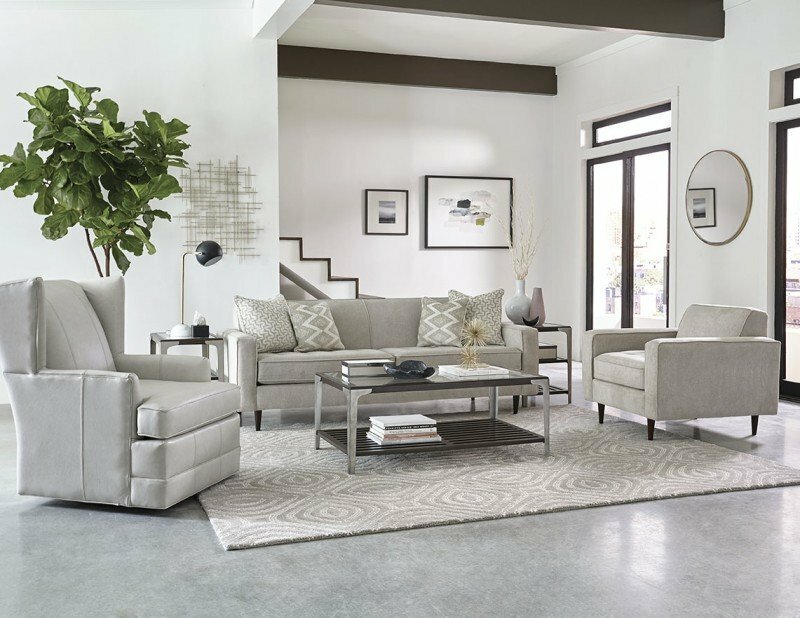 The Del Mar Collection by England Furniture has many sofas to choose from. 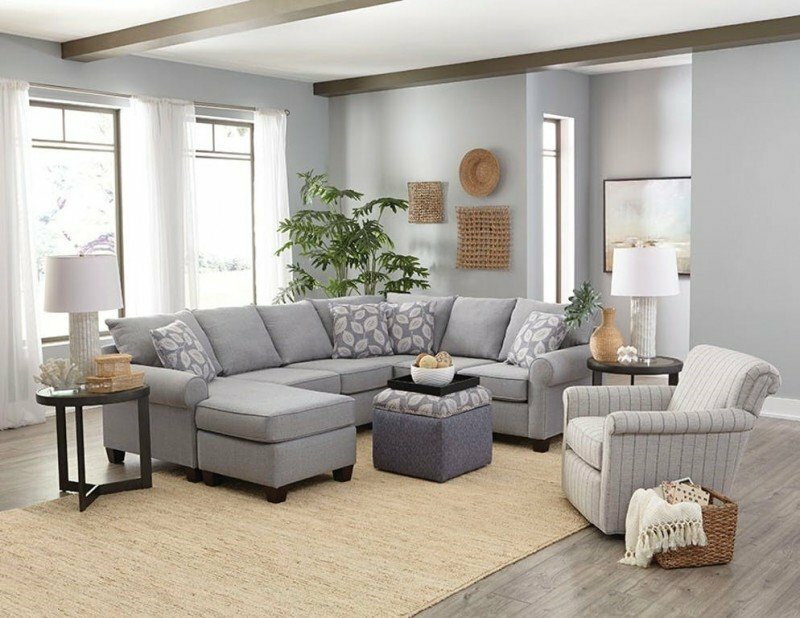 The Catalina, Newport and Larado sofas have soft, cushioned arms that surround you with comfort. Pictured is the Del Mar Newport sofa, which you could quickly melt into. 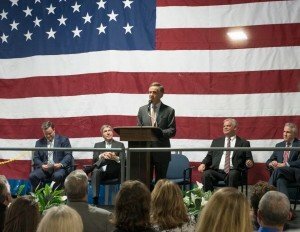 England Furniture is made in America in Tennessee by our experienced furniture makers.